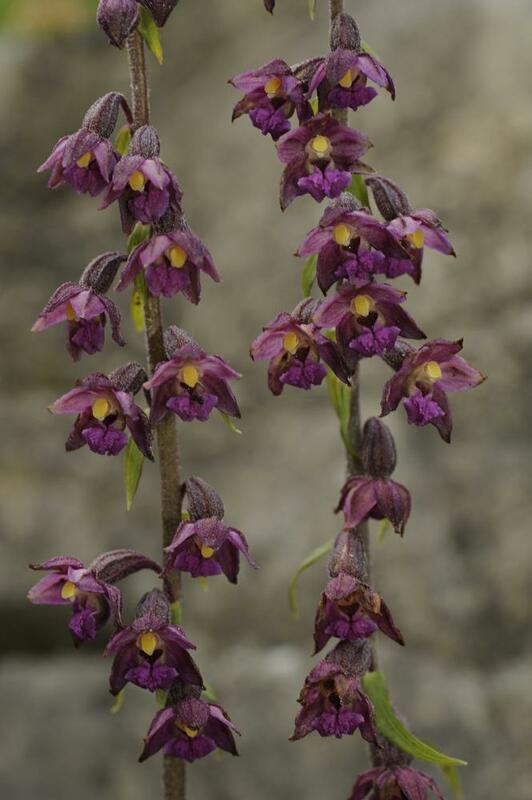 Epipactis is a genus of terrestrial orchids containing about 25 species distributed across North and Central America, Eurasia, and North Africa. Two species, E. autorubens and E. helleborine, have been widely naturalized in North America from Europe. Epipactis orchids produce several alternating stem leaves and multiple resupinate flowers. The labellum is often divided into two part: the innermost part (closest to the column) is curved in a bowl-like shape, while the outermost part is triangular or rounded. 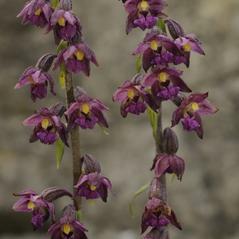 Epipactis often grow in disturbed habitats, including on roadsides, lawns, cracks in sidewalks, and former quarries; in undisturbed habitats, they can be found in moist or dry forests and swamps.